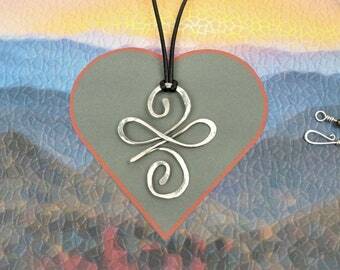 Announcement Craftswoman Artisan Jewelry for folks who don't follow the crowd! Having Droughtlander Symptoms? Outlander-Inspired Jewelry in shop & currently producing more. I'm also learning leatherwork, watch for new pieces ♦ Al. Follow us on social media for specials, updates & new listings, links below. Custom Requests Always Welcome! Free U.S. 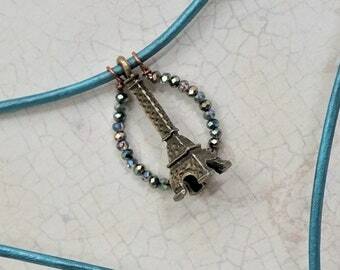 Shipping on jewelry priced over $30. 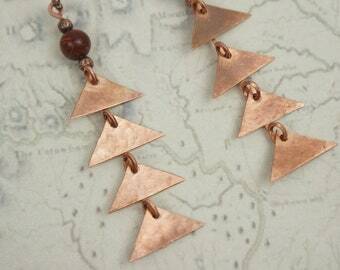 Al's Adornments are primarily Copper and Sterling Silver. Mixed metals and even mixed-media pieces may show up. Leather too! Each piece is unique & one of a kind or very, very limited edition. You'll see quantity available on listing page. Outlander-Inspired New Beginnings items are Made-to-Order in your choice of metal & sometimes size. Dinna Fash ... quantity listed is one, I renew after each sale. We're open-minded Chix, so we make things with varied cultural themes, gemstones & crystal meanings and fun 'go-with-the-creative-flow' pieces! Are you a returning customer? Get 10% Off with code REPEAT10 at checkout. We are convo friendly (même en français) for any custom orders, inquiries, concerns or comments. Please note that we are two craftswomen who create, make and ship from both the U.S. and France**. **UPDATE 1/2017: Al is in the States temporarily, caregiving her 96-year-old mom. 3/19 .. Still here and missing Home so much!! Etsy offers guest checkout so no need to sign up. Just an email address is needed. Chic Chix & Champagne offers combined shipping. This applies to multiple items bought and shipped from the same State. Sounds confusing but trust us, it's not. 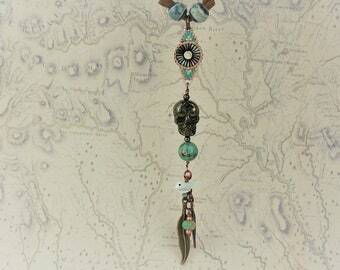 Craftswoman Artisan Jewelry for folks who don't follow the crowd! Having Droughtlander Symptoms? Outlander-Inspired Jewelry in shop & currently producing more. I'm also learning leatherwork, watch for new pieces ♦ Al. I just received this necklace in the mail. I absolutely LOVE it! It is really a beautiful piece. Thank you very much!! My favorite earrings. Glad you are an OUTLANDER fan as well. 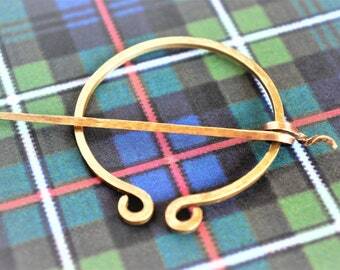 Outlander-Inspired Penannular Brooch. A Best-Seller especially in Outlander Season! One of Al's first wireweave projects gifted to Peg for her birthday. Copper Dragon Earcuff and Drop with Amethysts. Copper Hand-Forged Goddess pendant fabricated for a Design Challenge on a blog Al follows. Wireweave Orchid with Swarovski Crystals. Mom's birthday gift, Feb. 2016. Hammered Sterling Silver & Agate Awen Pendant. We're two longtime soul sisters designing, making and shipping from both the U.S. and France. **4/2017: Al is temporarily back in the States caregiving her 95-year-old mom. We began our adventure recycling / upcycling cast-off clothing into wearable apparel and accessories. You know, save the Landfills! Like many creatives though, we just can't resist learning new crafts and our ideas are everywhere at once! So through the years we've added crocheted items, home dec & vintage (different shops) and now we're doing it again (see our social media channels). -- NEW in 2017 -- Handcrafted Jewelry. (Remember the Creative statement above)? 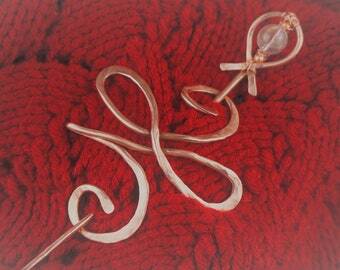 Al has taught herself wire-weaving and metalsmithing the past couple of years. Plus, much easier to lug overseas! Fave metals: Copper, silver, brass. 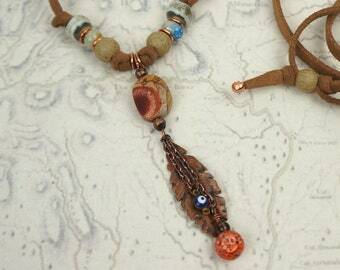 Some pieces adorned with semi- and precious gemstones. We hope you'll join us in our continuing journey of just being Chic Chix with some Champagne now & then to celebrate ... well, almost everything!! www.etsy.com/shop/ChicChixChateau (2018 - as with most Castles, we're renovating and refurbishing our baby). Welcome to our Petite Boutique where every "Adornment" is designed and made by either Alysen or Peggy, your friendly Craftswomen and Proprietors. Choose Handcrafted. Choose Quality over Quantity. We value our return customers too! 10% OFF with coupon code REPEAT10 at checkout. Shop Chic, Save Money! Combined Shipping available, see details below in "Shipping". Contact us with any questions or comments, we want you to have a stress-free shopping experience. Al's Care Recommendations about her Craftswoman Artisanal Jewelry. ♦ My personality is interpreted into each and every piece, with perhaps small imperfections and quirkiness, just like moi :). This is the embodiment of Artisanal work and a Unique Chic Chix Adornment. ♦ Please do not wear your jewelry while swimming, jacuzzi-ing, frolicking on the beach, nor in the bath or shower or while sleeping. Some gemstones and metals cannot survive salt water, chlorine or rough handling. Use common sense & read on for further care. ♦ Each piece undergoes a final inspection and spa treatment before leaving my atelier and continuing it's life's journey with you. I buff and massage with Renaissance Wax whether the metal is oxidized or left 'au naturel'. Ren Wax is not a lifetime protection against tarnish ... do YOUR spa treatments last very long? ♦ Wipe your jewelry with a soft cloth after removing it. I include a Non-Tarnish strip in a resealable plastic bag for your convenience. ♦ Certificates of Authenticity can be provided for all Jewelry with Gemstones. ♦ I will repair any of my designs at no charge to you if determined that you've followed each and every "rule" above. Re-Invented Clothing: New material and rescued articles are washed and dried when fiber content allows before construction or deconstruction. We want you to feel confident in making an informed purchase and strive to make each listing's descriptions as accurate and complete as possible. Please contact us with any questions you may have before the checkout process. If you are not fully satisfied after receiving your Chic Chix Adornment, please convo us first. then return item in its original condition and a refund will be given (minus shipping costs). Happy customers make happy return customers. Chic Chix & Champagne accepts payment by Etsy Payments as well as Paypal. Your financial information is never revealed to us, it is all handled by Etsy's secure checkout. ♦ Guest Checkout is available, just supply an email address, no need to join Etsy. ♦ Please VERIFY your SHIP TO information. If you wish us to ship to a different address please include that address in the "Notes to Seller". ♦ Please pay within 2 days of putting an item in your cart. If payment is not received within 2 days, the sale will be cancelled and item re-listed. We will contact you to remind you first -- forgetfulness does happen! We ship your cherished CC&C Adornment 1-3 days after payment is received and cleared, excepting postal holidays. Made to Order items have their own set of conditions, and the listing will specify those. In keeping with our eco-conscious mission, recycled materials will be used for shipping when feasible. Chic Chix & Champagne offers combined shipping for your convenience. This applies to multiple items in the same order, shipped from the same State. Yes, a little confusing, please know that item numbers start with AJ (Georgia) or P (California). Best procedure is to just contact us thru 'Message to Seller' and we can set you up for only one shipping charge. We will always use the least expensive and/or safest method available. USPS First Class or Priority, depending on weight and/or bulk. Tracking included. Insurance will be included when possible. Customs duties may be incurred depending on where you live and what you purchase .. these are yours to assume. Certain countries have restrictions on Jewelry Items also. Please verify for possible charges and/or restrictions in your country. Custom & Made To Orders are joyfully accepted! 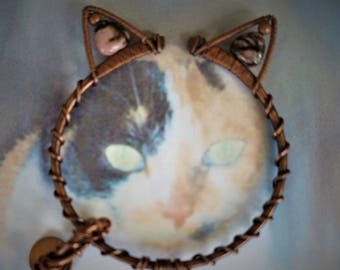 Our items are one-of-a-kind or very limited editions. Except Outlander-Inspired jewelry. 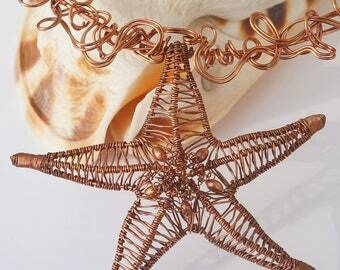 If you absolutely must possess a certain CCC Adornment and it is no longer available or you need a different size, please contact us, we'll work with you on creating your special heart's desire, be it jewelry or textile.